Rachel’s mom was in town today, so she watched Caleb and Rachel and I were able to go on our first date in months! It was so great to hang out and talk about life. So it was dinner and a movie with some amazing gifts we got last month for Pastor Appreciation Month (thank life groups…felt really appreciated and were really blessed to get to be together!). 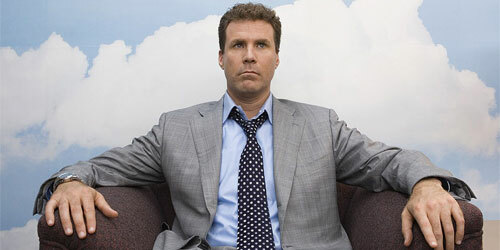 The movie we saw was Stranger Than Fiction starring Will Ferrell. When reviewing this movie, I couldn’t help but compare it to Click. I went to see that movie several months ago cause I was in the mood for a comedy. In that one, they made an effort to make a profound point, and in my opinion it just got really depressing and I didn’t enjoy it at all cause I just wanted to laugh. I’m reminded of that because this movie had a cool point to it as well, but was still encouraging, fun, and entertaining. Not very dirty at all with the exception of a few sexual references. Rachel and I were just saying how it wasn’t really typical, goofy Will Ferrell, but we both really enjoyed it. I would recommend it, and Rachel liked it, but also said it can wait for video. I completely agree. It was a little dark, but interesting plotline.